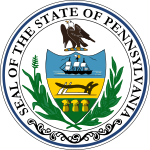 The Pennsylvania lieutenant gubernatorial election of 1998 was held on November 3, 1998. In Pennsylvania, the Lieutenant Governor is elected on the same ticket as the Governor, so the only campaign for this office was the primary election. Mark Schweiker, incumbent Lt. Governor, was unopposed for the nomination.